NIU has named Jenny Parker, associate professor in the Department of Kinesiology and Physical Education, acting associate vice provost for Educator Licensure and Preparation. Parker begins her new role Thursday, Aug. 1. She joined the NIU faculty in the College of Education in 1995; she received tenure and promotion to associate in 2001. 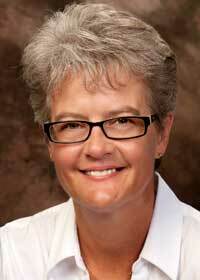 Since 2009, she has served as her department’s program director for the Physical Education Teacher Education program. She has also been a longstanding and active member of the Committee on Initial Teacher Certification. Addressing the multitude of state mandates for teacher licensure programs will be of primary importance. Also on her to-do list is the promotion of Professional Development Schools in which NIU teacher candidates play an integral role in student learning. The PDS programs also offer the opportunity to build upon the solid foundation developed by the University Office of Teacher Licensure and the Center for P-20 Engagement with the public schools in a three-way collaboration that is of benefit to all. Parker’s own teaching has received recognition. In 2003, she received the NIU Excellence in Undergraduate Teaching Award; in 2006, the Outstanding Mentor of the Year Award by the National Association for Sport and Physical Education; and in 2008, the Alyce Kramer Marcus Outstanding Educator Award in the College of Education.